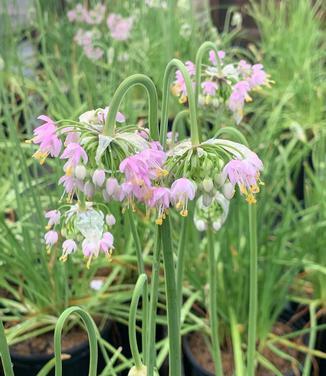 Allium x cernuum, or nodding Pink Onion, is a tough deer resistant bulb plant which is crowned by multiple pink flower umbels. 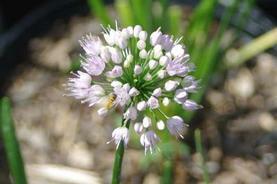 The blooms appear above the green strap-like leaves in July and August. These are followed by attractive tan seedheads. The clumps increase in size as time goes on and the bulbs can be divided and spread to make a lovely addition to short meadows in mid summer. 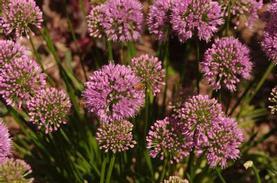 Self-seeds vigorously in the garden. We are grateful to Mark McDonough for helping us with the confusing nomeclature.